Gujarat is a place highly affluent with heritage and culture. Positioned in the western part of India, the state is a vivacious place popular for its immaculate beaches, ancient monuments, mouthwatering cuisines and lively festivals. The famous monumental edifices found in the state incorporate world heritage sites, palaces, forts, mosques, temples and crumbled remains. 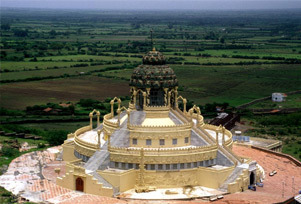 This 08 Nights and 09 Days Gujarat holiday package takes the traveller to the insignias of the rich past of the state. 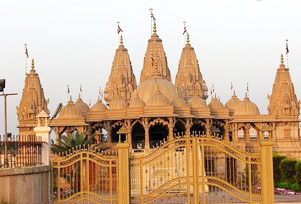 The major destinations covered in this tour are Vadodara, Ahmadabad, Jambughoda, Uthelia, Bhavnagar, Gondal and Wankaner. The major highlights of this trip are sightseeing journey in Jambugodha, journey to Champaner-Archaeological Park, visiting Harappan relics, shopping in the local markets of Bhavnagar, excursion to Wankhaner- Watson Museum and Rashtriya Shala. The tour takes the traveller to the best of heritage spots in Gujarat replete with monuments symbolizing ancient architectural brilliance. On arrival at Vadodara/Ahmedabad airport/ railway station, meet our representative who will be there for your welcome and transfer you to your already booked hotel. On arrival, check in at the hotel for an overnight stay. Today post breakfast in the morning set out for a full day sightseeing tour of Jambughoda and witness its traditional culture and lifestyle. An overnight stay in the hotel in Jambugodha. We will leave post breakfast in the morning and leave by road for Uthelia via Champaner. It is a UNESCO World Heritage Site and home to more than hundred architectural edifices. Enjoy an overnight stay in Uthelia. In the morning post breakfast, we will leave for excursion to Harrappen Era, located at Lothal. Thereafter, we will proceed towards Bhavnagar, a historical town. In the evening, we will visit the Museum and the local markets. Stay overnight in the hotel in Bhavnagar. Today early in the morning, we will drive towards Palitana. En-route, we will visit Shetrunjaya Hill, nestled at 2000 feet. The town has around 863 temples with arches, carved pillars and ornamented idols, which dates back to the 11th century. Later return back to your hotel in Bhavnagar for an overnight stay. Post breakfast in the morning, we will hit the road to Gondal. On arrival in Gondal by afternoon check in at the hotel. In the evening, we will visit the Naulakha Palace, which was built in the 17th century and known for its stone carvings and exquisite Jarokha balconies. Take pleasure of a relaxing overnight stay in the hotel in Gondal. Today post breakfast, we will leave by road for Wanakner. 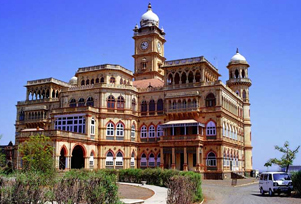 On the way, we will explore the tourist attractions in Rajkot which include Watson Museum and Rashtriya Shala. On arrival in Wanakner by afternoon, we will check in at the pre-booked hotel and leave to explore the Palace Museum and the local village. Later, we will return back to the hotel for an overnight stay. Post an early morning breakfast, we will drive to Ahmedabad today. On reaching Ahmedabad check in at the hotel. In the afternoon, we will set off for a half day sightseeing tour of Ahmedabad. Later, return back to the hotel in for an overnight stay in Ahmedabad. Today, you will transfer you to the airport to board the flight for onward destination.